In the list of national park service sites in Puerto Rico , there is one site included in the list. The site in Puerto Rico is one of few other sites that are managed by the National Park Service that does not belong to mainland USA. The San Juan National Historic Site is one of the national park service sites in Puerto Rico that is not part of mainland USA. However, it is managed by the US National Park Service and was even listed under the National Register of Historic Places in 1966. Each year, there are roughly 1.1 million tourists who visit the San Juan National Historic Site. The entire property covered within this national park is only a little more than 75 acres in land area. It preserves the fortifications and monuments that are recognized for their historical and architectural value. As one of the national park service sites in Puerto Rico, this site commemorates and preserves several sites within the Old San Juan section of Puerto Rico’s capital city. Most of these sites were built during the colonial era. 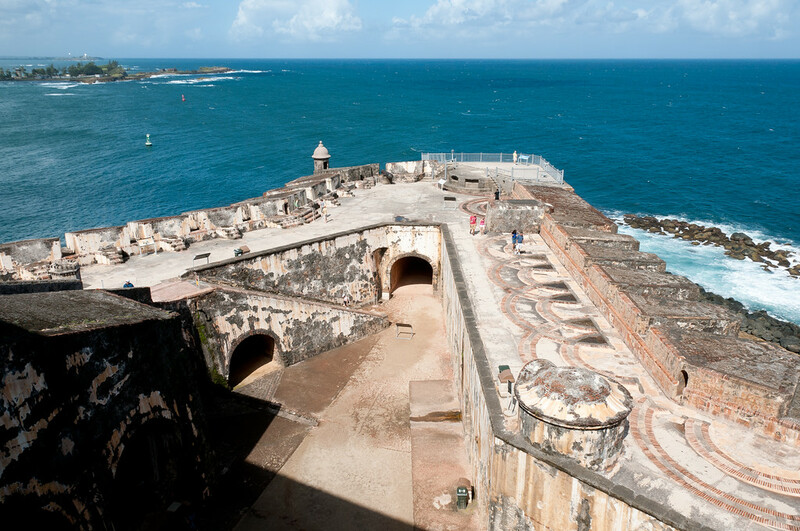 The sites protected within this property include its main feature the Castillo San Felipe Del Morro, Castillo San Cristobal, Fortin San Juan de la Cruz, and the City Walls of Old San Juan. This site is also a UNESCO World Heritage Site valued for its cultural importance. It was inscribed into the UNESCO list in 1983. It is one of only 12 national parks in the US (and those managed by the National Park Service) that have earned a UNESCO World Heritage Sites recognition. As with any other sites managed by the US National Park Service, it is also listed under the National Register of Historic Places in the year 1966.